Here’s how the 2012 performance season is shaping up. Some of these are tentative. Dates and venues may change, so check the listing before making plans. 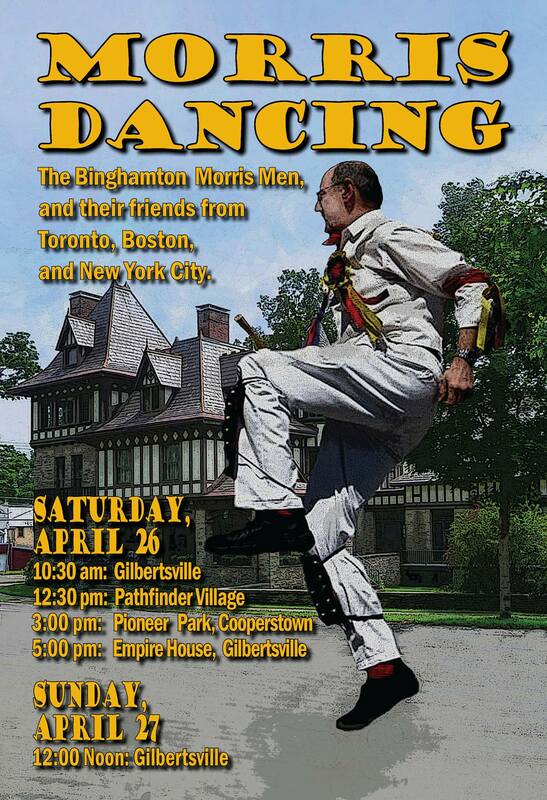 On Saturday, July 23, Binghamton Morris will tour with our friends from Syracuse, the Thornden Morris Women. 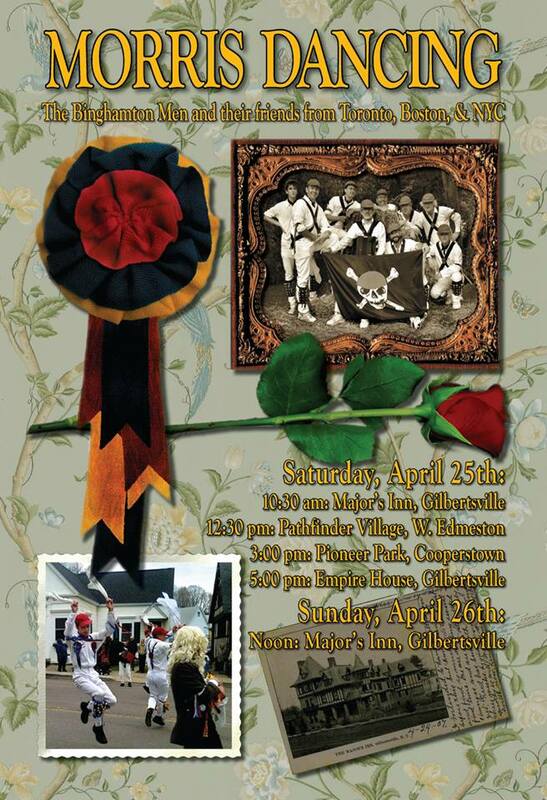 The Binghamton Morris Men will once again tour the Chenango and Otsego County area, giving public performances together with their guests, the Toronto Morris Men and the Newtown Morris Men from Boston. The Binghamton Morris Men and various friends from Toronto, New York City, Vermont, Boston, Washington, Maine, Vancouver and other points have been performing here for 35 years. Morris first discovered Gilbertsville as a place to perform as part of the week long tour of the American Travelling Morrice in 1976. Ever since 1977 they’ve stayed at the The Majors Inn & performed there at least one spring weekend. The Toronto Morris Men in front of the Gilbertsville Post Office. April, 2001. The Binghamton Morris Men in front of the Gilbertsville Post Office. April, 2001. Last year, we were featured in the March 14, 2010 episode of Mohawk Valley Living television show. Look for us about 3:45 into the video.